Your buggy is one of the most utilised purchases and potentially one of the most expensive that you are likely to make for your baby, so understandably it is one that many new parents spend a lot of time considering. 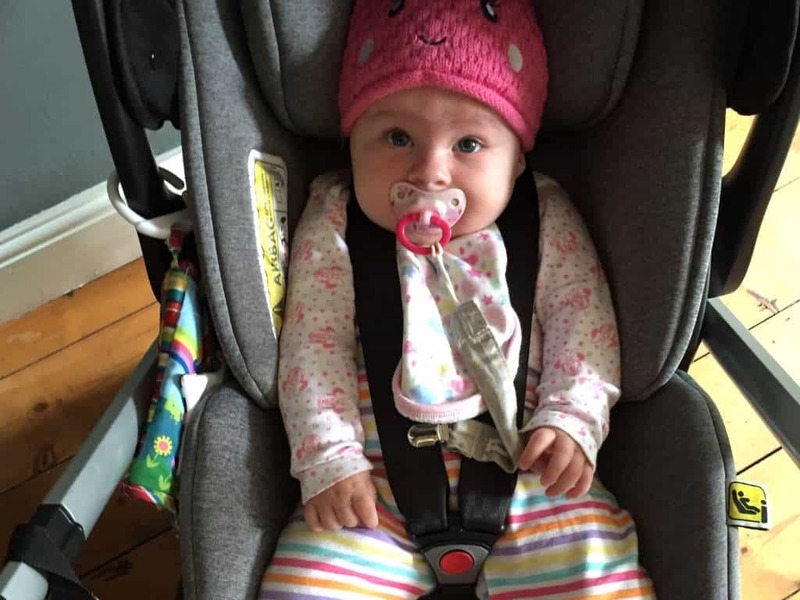 The choices are endless and there seem to be no shortage of bells and whistles when it comes to accessorising your child’s first ride. But with all the options out there, shopping for the perfect model has never seemed more complicated. Do you pour over blogs and reviews? Stick to the most well-known and recommended brands? First steps are to consider your lifestyle, and do you go for fashion or function? The right stroller will make life with your newborn much easier and less stressful, as well as safer and more comfortable. So where do you start? Personally, I’m all about lists. Consider these practical questions to see if the buggy meets your needs. So, which stroller family are you? Style, function, longevity and size all are important factors to consider when narrowing down your choice. Let’s start with budget, because it is one of the most important factors for most parents. Do you live in a city and do you use public transport? Or do you live in a country and push through rough terrain? One scenario will mean you want a small, lightweight frame that is slim and smooth gliding and another durable with large, sturdy wheels and good suspension. Tip: For us, front swivel wheels are a must. Allowing you to round corners and navigate doorways and pavement with ease. How easy is it to fold? Ideally you want easy-folding or one-handed foldability. A compact fold is important for travel and convenient storage. Think, will it fit in the boot of my car? Are you a light traveller, or a ‘take everything but the kitchen sink’ kind of person? When shopping for an everyday stroller, the under-seat storage basket space is important. Ask yourself – how accessible is it? Is it enough to store your groceries, toys and whatever else you are carrying around that day? Buy a metal clip for the handle to hang shopping bags off but don’t overload your buggy! With newborns they feel more secure when they can see their parents face so consider are there both forward- and parent-facing options? Also, has the stroller got an adjustable seat for sitting or sleeping? Baby will need to be comfortable napping in it! Think practicality, yes it may have a cup holder, but also does it come with a rain cover included, is there a decent sized canopy? Is it easy to clean? Make sure the seat is easily washable as children are very messy! Can I continue to use it for baby number 2? Think about it, do you have one child, multiple, planning on having more in the near future? When it comes to the push, is it good enough? What you can sometimes forget or not find out unless you go instore and test out a product is if the buggy is easy to manoeuvre. Can you move it around with one hand while you wrangle the dog, other child or coffee in the other hand? Is it heavy when pushing uphill? Also think parent comfort? Choose a stroller that has handlebars that can be adjusted, so whatever height mum or dad is they are not hunching when out for a stroll. Unfortunately, there are no perfect strollers, just ones perfect for your needs. After our daughter outgrew her travel system where the bassinet clipped in the frame, we chose a multifunctional, all-purpose buggy. The other option is to get different strollers for different occasions. Jogging strollers are expensive, but if you want to get fit and exercise with your child, then they are ideal. If you want a larger stroller or you have more than one child, then choose a quality sit and stand stroller. Overall, consider how long the stroller will last AND its resale value. Avoid the “good enough” stroller and go for the good one! Oyster and iCandy are the most well-regarded top of the range brands that we would buy, products we have tested out and loved are Joie and Maxi Cosi for midrange price options and would pick Cosatto for the fashion focused parents. So, where to buy from? Rarely do I have the child free time or inclination to go to the high street so buy baby products from a small selection of trusted online retailers. Kiddies Kingdom offers an organised website for easy shopping and delivery. Why not check out Kiddies Kingdom’s iCandy range as the sleek, streamlined iCandy Raspberry is at the top of our top stroller list as the ultimate pushchair for urban parents with premium features such as SPF50+ protection sun hood, 4 Wheel independent suspension and PU tyres. What strollers do you recommend, are there any features you could not live without? Enjoy shopping and happy strolling! Christmas Gifts For Leo & Norah-Perfect Buys For Under 10’S & Under 1’s!